Wharfedale has exciting news in several areas. 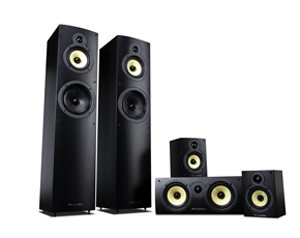 They have a new line of budget loudspeakers called Crystal which includes two bookshelf models, the CR4.1, at $199 and the CR4.2, at $249, a floor standing model, the CR4.3, at $498, and a center channel, the CR4.C, at $199. 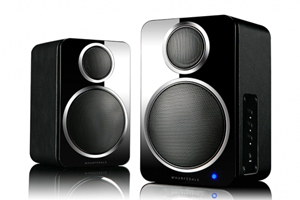 There are also a wireless Bluetooth model, the DS-2, at $199 and two new subwoofers, the SW-10, at $599 and the SW-12, at $699. The Crystal 4 Series speakers are for music and film lovers who are seeking a quality stereo or home cinema solution at an entry-level price. Kevlar is the chosen material for the low-frequency drivers because It's light, stiff and strong. The Crystal 4 series uses a premium Kevlar weave in its bass- and mid- drivers (4-inch for the bass driver on the CR4.1 and a 5-inch mid driver for the Crystal 4.3 floor stander). Combined with Wharfedale's advanced motor systems and in-house manufacturing that guarantees the highest quality, the Crystal 4 delivers speech with clarity and sonic impact for movie special effects. 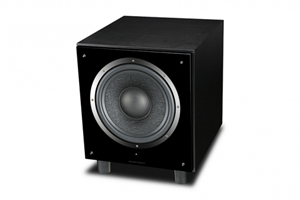 The Crystal 4 Series also includes the Crystal 4.C center channel loudspeaker. Possibly the most important loudspeaker in a home cinema system, responsible for approximately 80% of the dialogue, special attention has been paid for an immediate, highly-intelligible sound with a natural balance. The soft dome tweeter, as used in all Crystal 4 models, ensures a wide dispersion, allowing multiple listeners to experience the same, rich sound field. On the Crystal 4.3 floor stander an additional polypropylene bass driver completes the speaker and, again, in-house manufacturing allows proprietary techniques to be used, ensuring the best possible performance. Whereas inferior polypropylene drivers can distort under the stress of highly dynamic music and soundtracks, Wharfedale engineers use a specific technique to reduce this effect. A special Hot-Compacted Woven Polypropylene is used, where aligned polypropylene fibers are added to a matrix of thermoformed polypropylene. This results in a much stronger drive unit and, therefore, lower distortion, even with large musical peaks. The bookshelf and floor-standing speakers perform equally well in both stereo and home theater systems. For the new SW subwoofer series, Wharfedale engineers created a revolutionary none-pressed, paper cone. This rough-looking cone has superior self-damping (for reduced ringing and time smear) that is better than that of metal cones. It also has excellent transient impact (speed), and higher structural rigidity (stiffness). This achieves clean, low-distortion bass. The SW-10 uses a 10-inch version of that driver while the SW-12 is 12 inches in diameter. The SW subwoofers optimize both power and sound quality, offering remarkable sound pressure levels while retaining the control needed to be considered audiophile quality. Many small powered desktop speakers tend to be sonically underwhelming and artificial-sounding due to heavy-handed digital equalization trying to squeeze more bass output from cheap drivers. On the other hand, Wharfedale's Chief Product Designer has chosen to use the same approach that has made the brand a leader in traditional loudspeakers. By using high-quality drivers and carefully chosen audiophile-grade crossover components, the DS-2 maintains Wharfedale's signature warm and smooth sound. The speakers' built-in amplifier, wireless APTX compatible Bluetooth streaming, and 3.5mm auxiliary analog input make these speakers plug-and-play with a wide range of devices. Whether used on a desktop or as a compact stereo system in the living room, the DS-2 is a simple and affordable way to achieve high performance sound. �PREVIOUS BACK TO TABLE OF CONTENTS All Done! See You Next Time!